Prime Minister Justin Trudeau has given provinces until 2018 to adopt a carbon pricing scheme, or the federal government will step in and impose a price. Trudeau said the government will set an initial "floor" price of $10 a tonne, rising to $50 a tonne by 2022. Prime Minister Justin Trudeau took provinces by surprise Monday by announcing they have until 2018 to adopt a carbon pricing scheme, or the federal government will step in and impose a price for them. 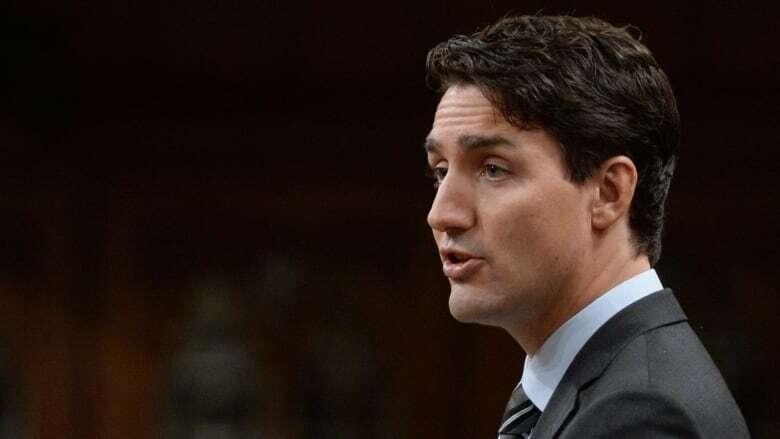 A tough-talking Trudeau told MPs in the House of Commons that provinces can craft a cap-and-trade system or put a direct price on carbon pollution — but it must meet the federal benchmark or "floor price." Trudeau made the announcement in leading off parliamentary debate on the Paris climate change agreement Monday, making the case for Canada to cut greenhouse gas emissions by 30 per cent from 2005 levels by 2030. Trudeau said the proposed price on carbon dioxide pollution should start at a minimum of $10 a tonne in 2018, rising by $10 each year to $50 a tonne by 2022. Provinces and territories that choose a cap-and-trade system must decrease emissions in line with both Canada's target and with the reductions expected in jurisdictions that choose a price-based system. Whatever model a province chooses, Trudeau said, it will be revenue neutral for the federal government, with any revenues generated under the system staying in the province or territory where they are generated. Trudeau insisted the plan will be good for the economy, good for innovation and good for jobs. Conservative MP and environment critic Ed Fast accused Trudeau of taking a "sledgehammer" approach with the provinces. "Here, he lowers the boom on the provinces and said, 'I'm not going to co-operate with you. It's my way or the highway,'" Fast said. Green Party Leader Elizabeth May praised the Liberal government's "leadership" at last year's climate talks, but said keeping the 2030 target set by the previous Conservative government under former prime minister Stephen Harper is "incompatible" with the commitments made there. "How can he reconcile adopting the Paris agreement while accepting the Harper target, which will make achieving Paris impossible?" she asked. NDP environment critic Linda Duncan also accused the Liberals of backtracking on targets they once denounced as inadequate, weak and catastrophic. The government has signed on to the Paris agreement without a clear plan and firm measures to meet targets. Debate in the House comes as Canada's environment ministers met in Montreal to discuss collective efforts to fight climate change. Environment Minister Catherine McKenna was trying to reach a consensus with provincial and territorial ministers on a pan-Canadian plan, but is facing some fierce pushback on a national carbon-pricing scheme. Upset ministers from Saskatchewan, Nova Scotia and Newfoundland and Labrador walked out of the meeting early after getting word of Trudeau's plan. Saskatchewan Premier Brad Wall was incensed that Trudeau would make the announcement as his minister pushed a "collaborative" plan with the provinces. "The level of disrespect shown by the prime minister and his government today is stunning," he said in a statement. This is a betrayal of the statements made by the prime minister in Vancouver this March. And this new tax will damage our economy." Wall said that Saskatchewan "will investigate all options to mitigate the impact of one of the largest national tax increases in Canadian history." Alberta Premier Rachel Notley said she supports the principle of a common price on carbon, but could not yet embrace the amounts laid out today. Any targets must come hand-in-hand with energy projects like pipelines, she said during an interview on CBC News Network's Power & Politics. "We think it needs to happen concurrently with concrete action on energy infrastructure and in particular on getting a pipeline to tidewater," she told host Rosemary Barton. Quebec Premier Philippe Couillard applauded the federal plan. "We believe it's good, and it's not going to affect the functioning of our trading system," he said. According to figures from Canada's Ecofiscal Commission, an independent research firm, Alberta and B.C. are the only two provinces with a direct carbon tax system. Alberta's phased-in regime will be $20 a tonne by January 2017 and $30 a tonne one year later. B.C. Premier Christy Clark has promised to hike the current $30-per-tonne price on carbon. Ontario and Quebec have cap-and-trade systems, but neither province is on track to meet federal targets. Ontario's plan would have an estimated equivalent price of $19.40 per tonne by 2020, according to Canada's Ecofiscal Commission. But a statement from Ontario's Environment Minister Glenn Murray said the province is on course to achieve its 2020 target (15 per cent below 1990 levels) and has legislated targets for 2030 (37 per cent below 1990 levels) and 2050 (80 per cent below 1990 levels). He called Trudeau's announcement a "positive step" for Canada's effort. "We remain firmly committed to establishing our carbon market, linking with Quebec and California and growing carbon markets both in Canada and around the world in an effort to fight climate change," he said.